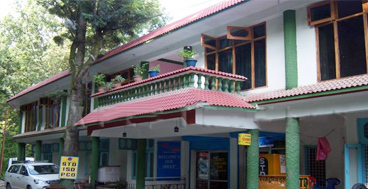 Hotel Riya Residency Barkot, situated on the way of Yamunotri Marg, only 212 Km. away from Haridwar, situated in the midst of the market. We provide you the Deluxe rooms with attach baths. The Ambience of the rooms is very hygenic, with Restaurant facility. 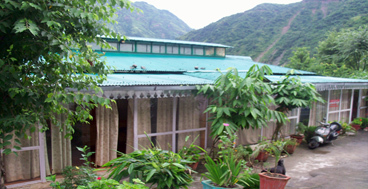 Rig-Veda Cottage Barkot is to be found on the way of Mussoorie Yamunotri Marg. The vision of Himalaya is attractive from our hotel. We provide you 24hrs room services, STD/PCO/FAX, TV. In every room, attach hot and clean baths, Restaurant, parking space, Taxi facility and laundry facility. Yamunotri River Bank Resort is a best Hotel in Barkot.The Holly temple of Yamunotri is a historical temple in the Garhwal Himalayas. There are the hot water springs gushing out from the mountain near to the temple. 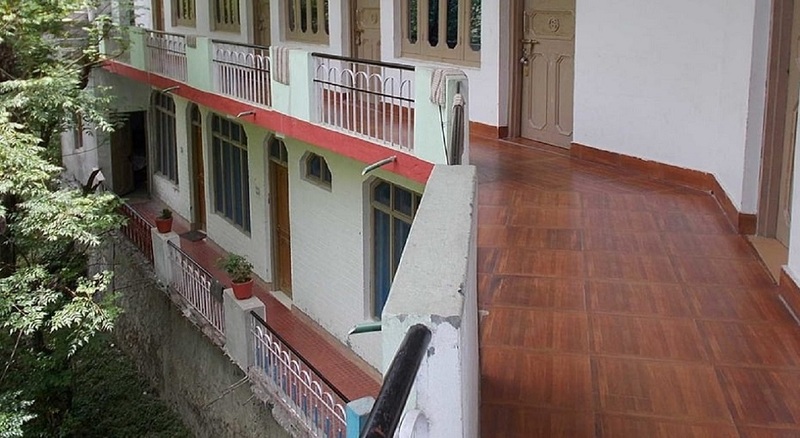 Devbhoomi Hotel , is a Luxurious hotel with 3 Star facilities located at Barkot situated at the Heart of Yamuna valley.Barkot is ideal place to stay for piligrims visiting Yamunotri,Lakhamandal , Hanol & Radi Top. 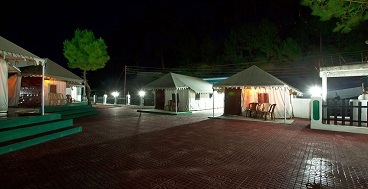 Pushpanjali Hotel , is a Luxurious hotel located at Barkot situated at the Heart of Yamuna valley. In Pushpanjali Hotel there are many rooms with various categories.Hotel Pushpanjali is Located in Barkot, and Barkot is 41 km from Mussoorie. 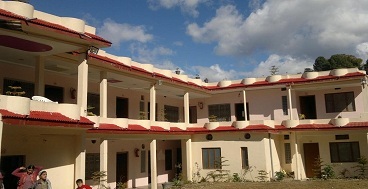 kalindi palace is located in Kharid village nearby Barkot. Barkot is situated at 15km far from Kalindi Palace and 5 km from Gangnani and 30 km from Jankichatti. Barkot is a Town of Uttarakhand. 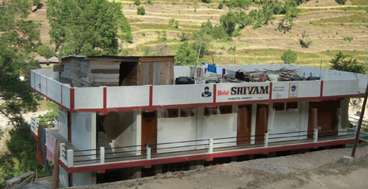 Camp River View is a best hotel in Barkot.The temple of Yamunotri is 40km from Khradi Barkot.Hotel Camp River View , it is located at Barkot. The Hotel Camp River View is located in a beautiful place. Atithi Niwas Barkot is a best hotel in Barkot.The temple of Yamunotri is 6 km from Atithi Niwas Hotel.Hotel Atithi Niwas, it is located at Jankichatti surrounded by three sides by lesser Himalaya range along thiamine river. Just 212kms away from Haridwar and 40kms away from janki Chatti. 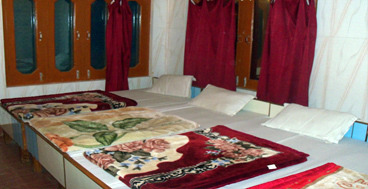 All the rooms provided by us are very hygienic and the Aura created is super marvelous. The restaurant area is also present in the hotel the peace is maintained in all rooms and all activities performed in a discipline manner. 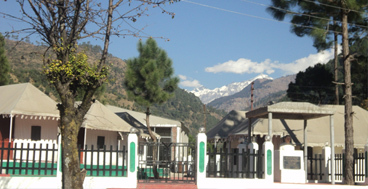 Kalindi Resort is one of an excellent hotel in Barkot and also among the chardham hotels. 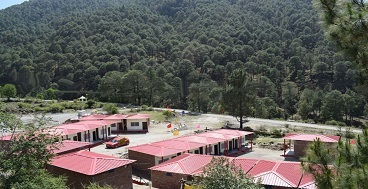 It is sited just opposite to River Yamuna at a distance of 25kms from Barkot. The hotel has 45 rooms with an excellent lovely beauty. Entire rooms of the hotel are well furnished and it is maintained properly. 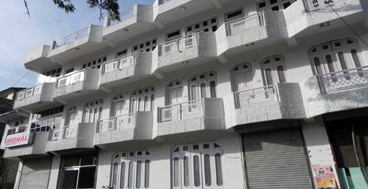 Hotel Monal Residency, Barkot is one of the comfortable hotels among the chardham hotels. The accommodation facilities of this hotel are quite comfortable and it is decorated with stylish interiors. 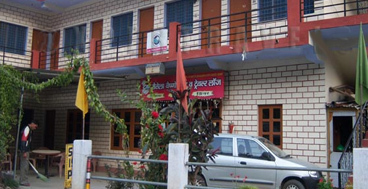 Excellent room and overall facilities are so efficient that chardham tourists love to stay here. Just 212kms away from Haridwar and 40kms away from Janki Chatti, we provide hygienic accommodation in a very cheap rate. The flooring of the rooms is done with neat and clean tiles and attach hot and clean baths are provided in all the rooms. Standard rooms with extra Bed facility. 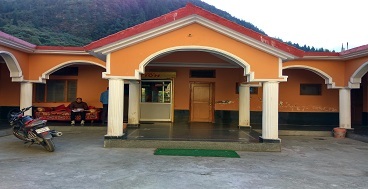 Rawat Tourist Lodge, Barkot is sited on the way to Yamunotri. It offers the tourist attractive surroundings to enjoy and make their tour memorable. This lodge offers deluxe rooms, standard rooms and also budget rooms associated with a good restaurant. 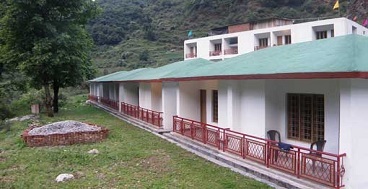 Yamunotri River Bank Resort, Barkot is sited on the banks of river Yamuna. It is an attractive Swiss Tents which offers 16 luxury camps to the tourists in order to offer best comfort to the pilgrims. 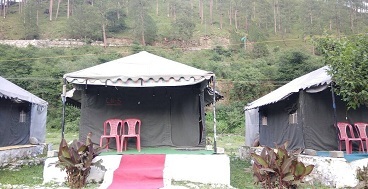 Camps are associated with toilets and baths and 24 hours hot and cold water.